This November, we’re celebrating trails that connect places, connect people, and connect you to your next great adventure. Get outside and share your trail photos and videos. Tag @FrenchmanBayConservancy and the trail name (example: #FBCBakerHill) if you’re exploring some of the 28 miles of trails—always free and open to the public—that Frenchman Bay Conservancy stewards and protects. People need trails. Trails need people. Sign up to volunteer on a trail that provides endless hiking, fishing, running, birdwatching, hunting, and snowshoeing opportunities. 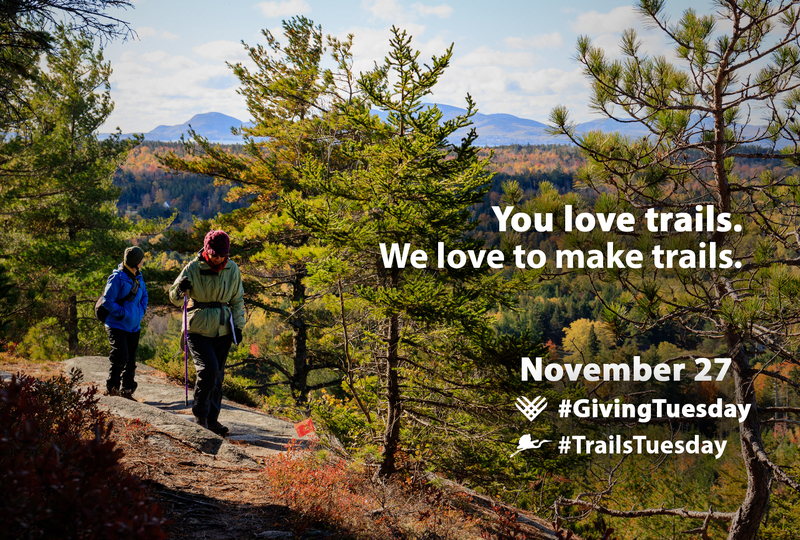 Mark your calendar for #TrailsTuesday, or #GivingTuesday, on November 27th. We’re asking everyone who enjoys trails to donate $10 for trails on #TrailsTuesday to benefit our long-term trail stewardship program.